Lovely pink Rose Floral Flounced Skirt and matching fabric repeated at top and cuffs. 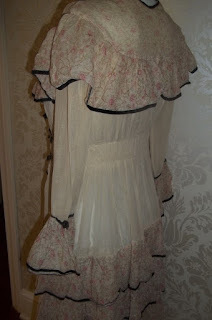 Black Trim Detail and Crochet Buttons at Closure. 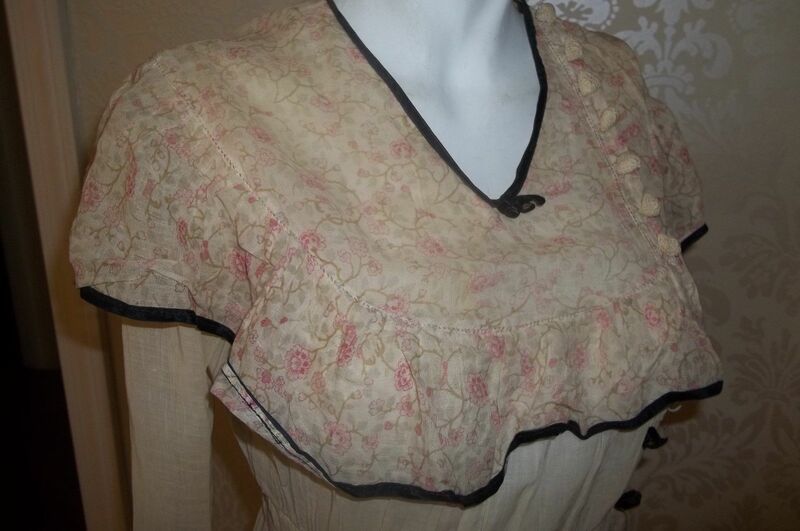 Tiny snaps to Close up Front. 1" needs stitched under arm on seam. 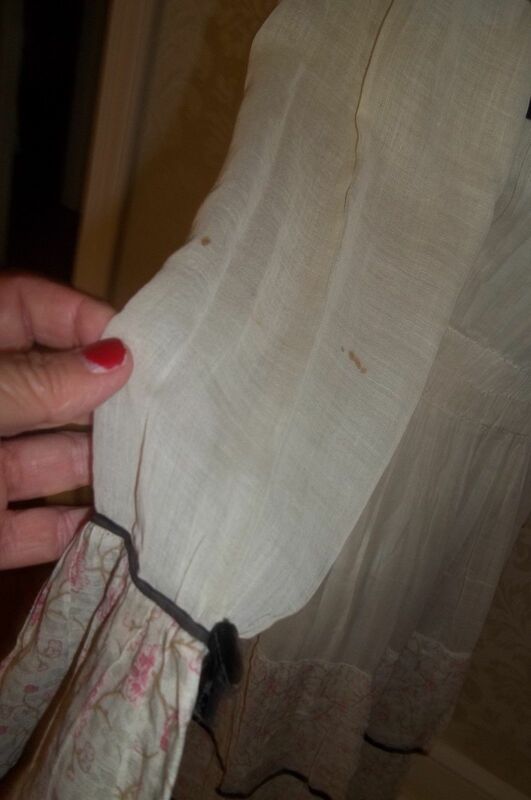 two small spots on sleeve of right arm. 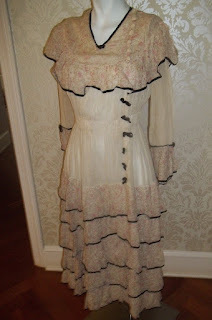 please see picture. 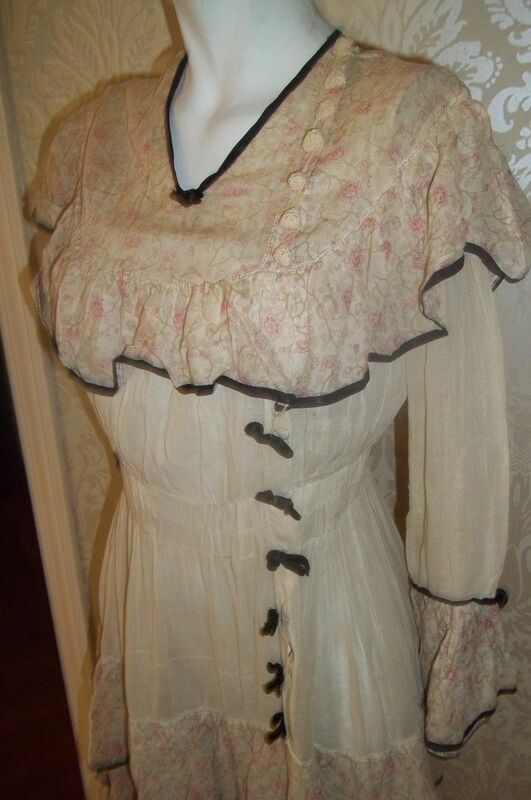 I did not attempt to clean or do anything to this garment before listing. 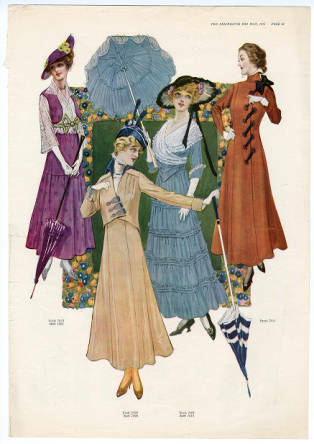 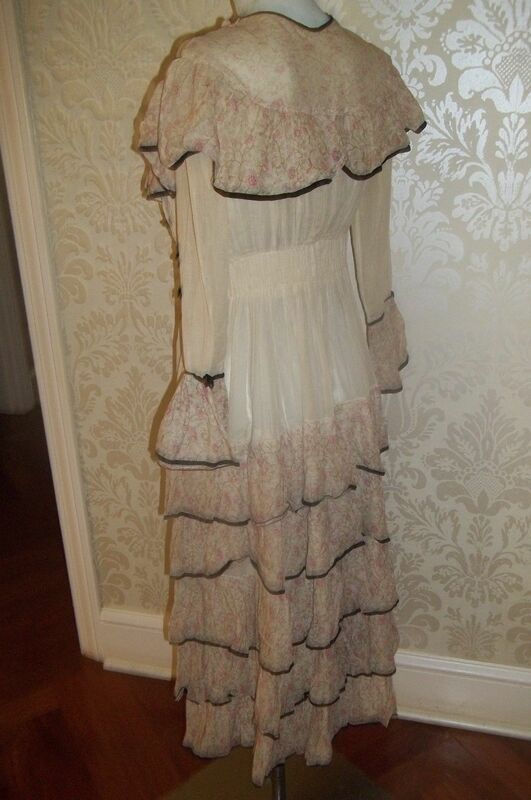 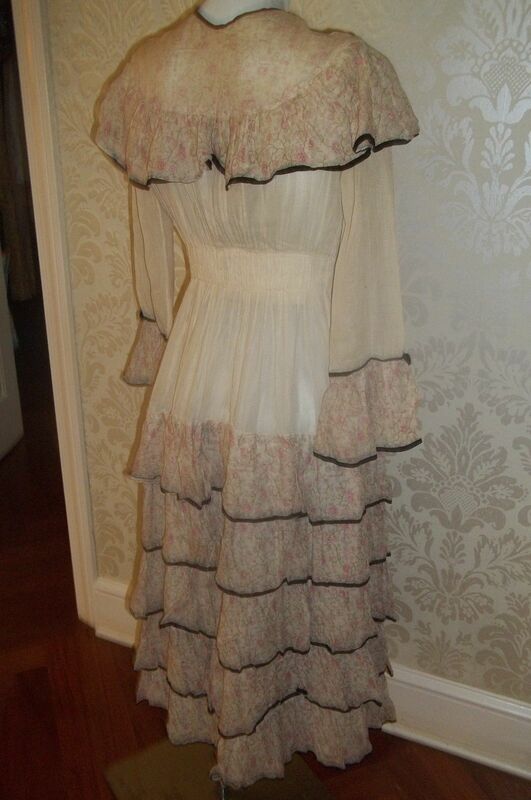 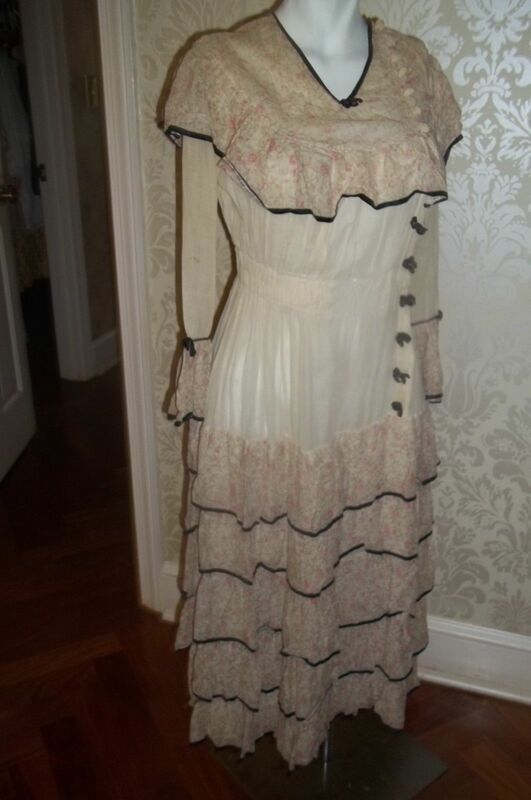 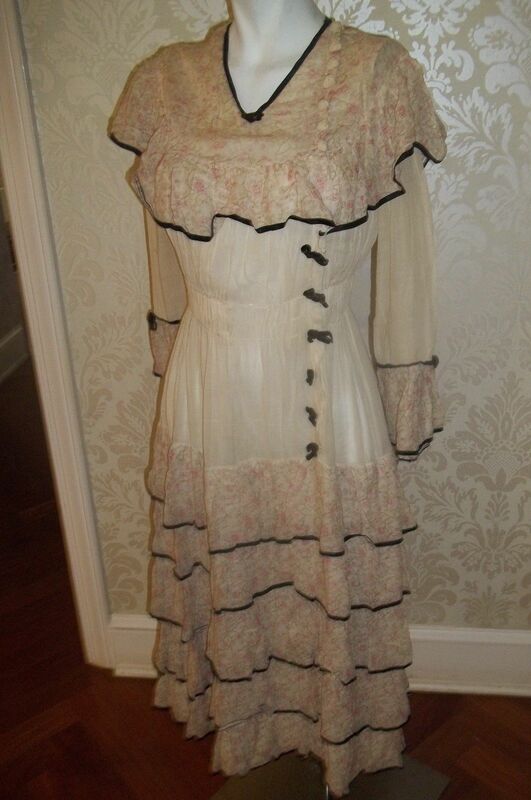 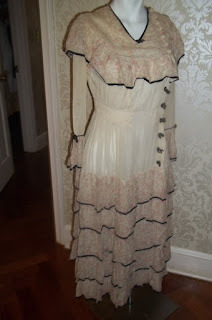 Measures : Bust 34" and waist 27"
I love 1915 fashions and I'm sure this extant dress is from about there. 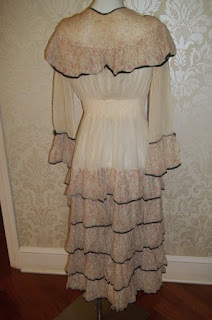 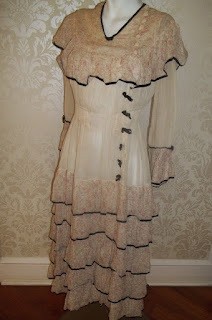 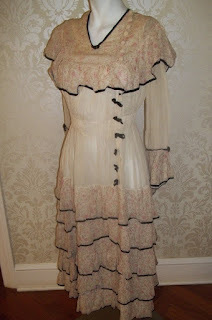 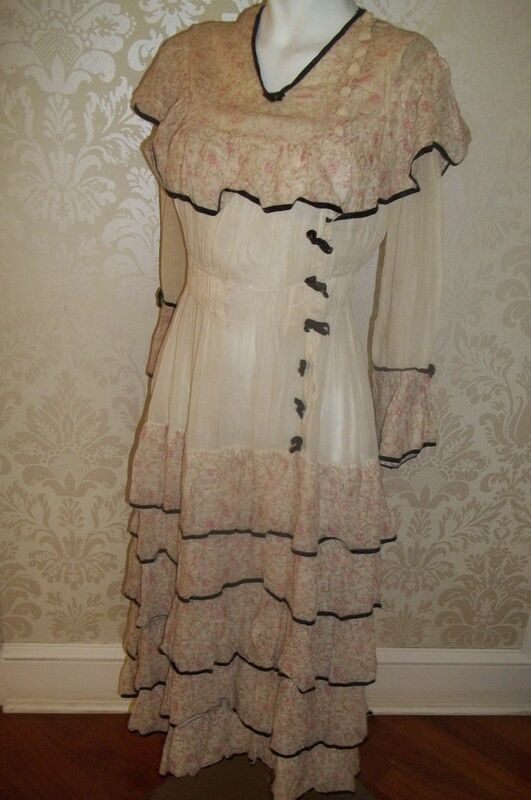 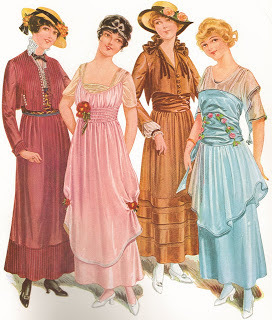 They have almost a Gunne Sax 1970's look to them - which is probably where Gunne Sax took inspiration from!